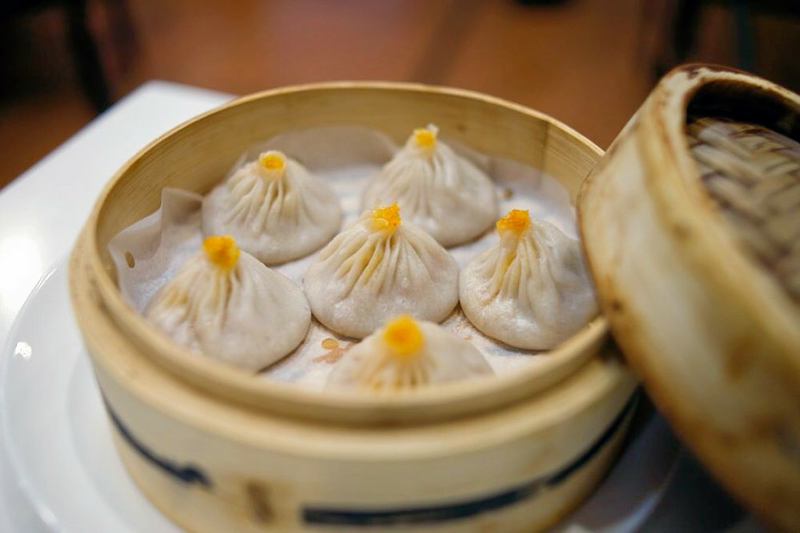 Craving soup dumplings, shu mai or scallion pancakes in Brooklyn? You're in luck: a new Shanghainese spot called Mr Bun has opened its doors in Bath Beach at 2048 86th St. (between Bay 26th and Bay 25th streets). The new bistro's much-vaunted soup dumplings come in pork and pork-and-crab varieties, but these aren't the only dumplings available: the menu also offers seafood dumplings, shepherd's purse dumplings and pan-fried veggie and pork dumplings. Dumpling-deploring diners may be more interested in offerings like the marinated jellyfish, some shredded pork with pickled cabbage, or pancakes with sliced beef. Mr Bun accepts take-out orders, but does not offer delivery. "You heard it here: Best pork soup dumplings in Brooklyn," declared Yelper Ryan K., who was among the first Yelpers to review the new spot on August 27. And Yelper Kevin E. had criticisms of the rest of the food, but agreed about the dumplings: "A lot of restaurants are guilty of serving frozen packaged soup dumplings but the ones here seem to be handmade. The skins were very thin but didn't break and the meat and soup inside was delectable." Swing on by to take a sip for yourself: Mr Bun is open from 11:30 a.m.-10 p.m. on weekdays and 11 a.m.-10 p.m. on weekends.